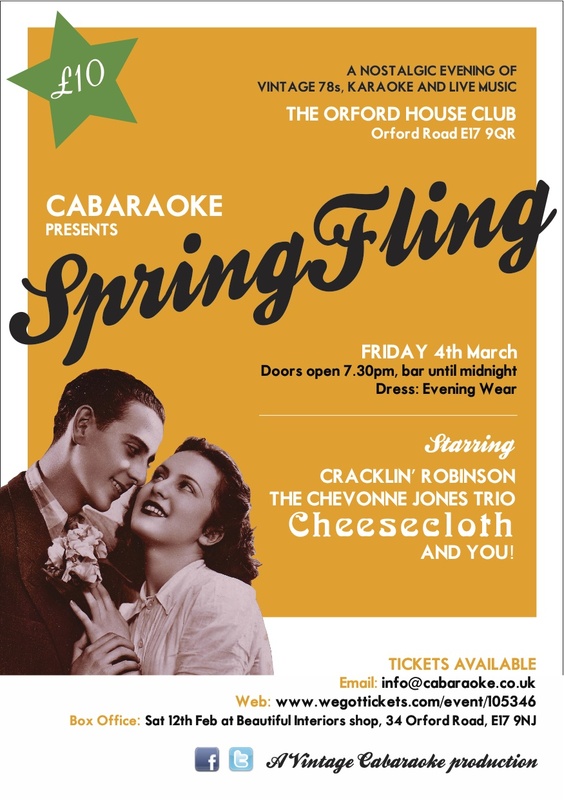 Vintage Cabaraoke are bringing a touch of glamour to Walthamstow on Friday 4 March (although we’re obviously pretty glam already) with their Spring Fling evening. The event promises vintage 78s, live music and vintage karaoke. And, seriously, what is better than karaoke? Nothing, that’s what. The event at the Orford House Club features appearances from Moonshine Robinson spinning some 78s, local jazz act The Chevonne Jones Trio and Stow-based folk-rockers Cheesecloth. Put on your glad-rags as dress code for the night is “evening wear”. Doors open at 7.30pm and there is a bar until midnight. Tickets are £10 and are available from here. Details are also on Facebook here.